Transportation officials in El Paso, Tex., are finalizing agreements with two firms to build a $97 million, 4.8-mile streetcar line approved by City Council in 2014. 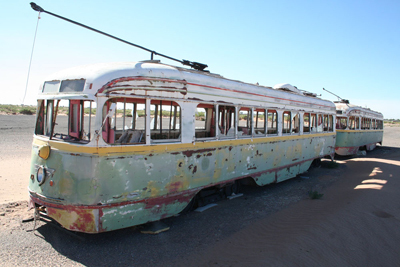 The state-funded project involves refurbishing and placing back into service historic El Paso City Lines PCC cars that operated until the 1970s. TheCamino Real Regional Mobility Authority, which is overseeing the project, in late August 2015 selected Paso del Norte Trackworks, a joint venture of California-basedGranite Construction Inc.and New York-basedRailWorks Track Systems, andBrookville Equipment Corp. to build the infrastructure and rebuild the PCC cars, respectively. Paso del Norte Trackworks will be responsible for tracks, maintenance and storage facilities, power stations and catenary wires. Brookville will be responsible for resurrecting El Paso’s old PCCs, which have sat dormant for decades in the Texas desert. Work could begin on the streetcar line, which was designed byAECOM, as early as January 2016. Last year, the Granite/RailWorks joint venture completed a $197 million modern streetcar line in Tucson, Ariz., that opened in July 2014. That system sparked a downtown renaissance, spurring $1.5 billion in private and public development along the route, Tucson city officials and business groups have said. The El Paso streetcar will run from the Paso del Norte Port of Entry to the West El Paso neighborhood that is home to a campus of El Paso Community College, the University of Texas at El Paso and several hospitals. Construction will be complex, as the route passes through the arts, business, government, entertainment and shopping districts in downtown El Paso, Camino Real Regional Mobility Authority Executive Director Raymond Telles told local media. “We are going to affect a lot of people with this project, so we want to make it as painless as possible,” he said. Six of El Paso’s vintage PCCs will be transported to Brookville Equipment’s facilities in Pennsylvania and remanufactured and modernized. Originally, plans called for seven PCCs, but the cost of restoring the streetcars was greater than expected, $3.1 million per car, officials said. They hope to eventually add a seventh car using contingency funds that could be freed up when the project is complete. 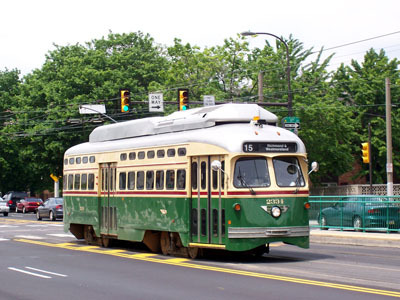 Brookville, which has remanufactured PCC cars for SEPTA and other transit authorities, will upgrade the 1938-built vehicles with modern propulsion equipment, air conditioning, and pantographs for current collection. The cars will also be ADA-compliant. PCC No. 1511, which was painted by renowned artist Jose Cisneros, will be restored, artwork and all, according to Telles. Aug. 03--The South Shore Railroad is gearing up to carry bicycles on trains next spring, kick starting the transit plan years earlier than a previous timeline. South Shore General Manager Mike Noland unveiled prototypes of two bicycle racks at Friday's Northern Indiana Commuter Transit board meeting and the board approved a one-year pilot program set to start in April. The racks were designed by SportWorks, a Seattle-based transit design company. Advocates have been pushing the initiative for about 10 years. Bike supporters say the South Shore is the only commuter railroad in the nation that bans bicycles on its trains because its cars aren't configured to hold them. The pilot program approved Friday will outfit three cars with specially-made bike racks. Bike owners will sit next to their bikes. Noland said three cars will be equipped with about 25 to 30 bike racks each. The racks will be attached to the car's metal heating system. Each rack costs $500 to $600. No final cost estimate for the pilot program was available. The pilot bike program will only run on weekends and cyclists must get on and off at stations with high-level boarding platforms, Noland said. It's also not intended as a permanent solution. At a public hearing last month, officials presented a bikes on trains plan that's dependent on the purchase of new cars within five years. NICTD then plans to retrofit five existing cars at a price tag of about $10 million. When bike advocates and even some NICTD board members heard the program likely wouldn't start until 2021, they complained and officials began to look for a short-term solution. "We heard the board loud and clear to accelerate the process prior to the next train car order," Noland said. He said cars purchased in 2009 were finally performing well and anchoring the fleet, allowing the railroad the opportunity to look at modifying its older cars. Noland acknowledged the South Shore's shortcomings. "Metra has more space than we do. We have no room for anything but seats, that's the fundamental difference." NICTD board member and Lake County Commissioner Mike Repay thanked Noland for quick action. "I commend you for listening to what was being said. I think this is the right way to do it. I know there are still bugs... Folks who really want their bikes on trains will be hospitable." Advocates, including Save the Dunes Council and the National Parks Conservation Association, immediately praised the action. "Save the Dunes has taken a leadership role in the project as part of our desire to increasenon-motorized access to the Indiana Dunes National Lakeshore and Indiana Dunes State Park, yetclearly the benefits would be experienced region-wide," the Save the Dunes Council stated in a release. "This decision has been a long time coming and today's vote by the NICTD board is a welcome change and one that we look forward to seeing through," said LeAaron Foley, an outreach coordinator with the National Parks Conservation Association. Contact Carole Carlson at ccarlson@post-trib.com. A Chicago-bound train at Ogden Dunes, Ind. SOUTH BEND, Ind. – The Northern Indiana Commuter Transit District says the South Shore Sunshine Express is a success just four months after its implementation. The express trains get South Bend commuters to Chicago in fewer than two hours by making only two other stops. The agency is now working to add more express trains to its schedule. According to a NICTD, the South Shore is averaging roughly 100 more passengers per day traveling to Chicago from the served stations. NICTD General Manager Mike Noland says they had hoped the service would attract at least 100 new riders between the three express stops. “So far, I would deem this train a success,” Noland tells WSBT-TV. “We are hearing from other riders about how excited they are about how there is an express train. They want one on their stop as well. But they understand there are things that we need to put in place to get there,” Noland says. Moving the South Shore depot to the west side of the South Bend airport, cutting 10 minutes of travel time. Adding double track in the areas that are currently single track with the goal of cutting South Bend – Chicago time to 90 minutes. Reducing travel time in Michigan City. “We need to fix Michigan City,” Noland says. “Right now to go through Michigan City through the streets is a very slow ride through the middle of town. So we need to straighten those tracks out. “We think within four to five years we can drive the times down to 90 minutes out of South Bend, 60 minutes out of Michigan City, and 45 minutes from Ogden Dunes,” Noland adds. Noland says the South Shore is working to get federal grants to make some of the improvements. The railroad will also be doing more advertising for the Express Train to increase ridership. Sat Jul 11, 2015 8:11 am (PDT) . 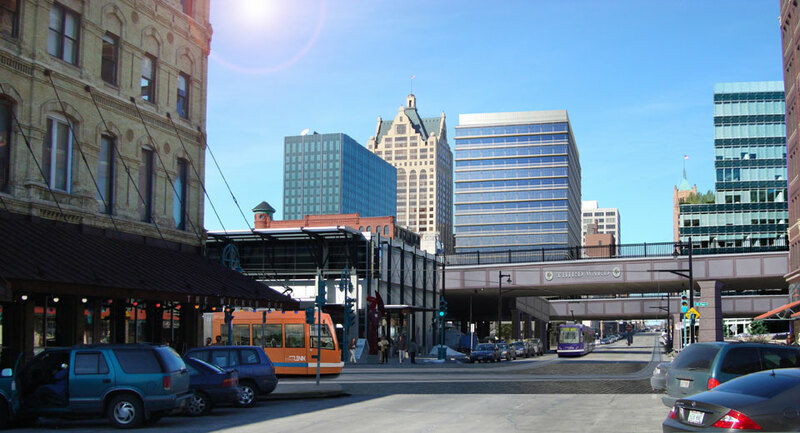 relocation bill on the Milwaukee Streetcar project by over $1 million. north-bound tracks to N. Jackson St. from N. Van Buren St."
anti-streetcar group has given up trying to stop the starter line. The streetcar as it meets Broadway in the Third Ward. negotiating with the utilities and procuring the vehicles. relocating north-bound tracks to N. Jackson St. from N. Van Buren St.
work is beginning on the overhead contact system. construction of the system awarded in January 2016. Construction would start in April and be completed by February 2018.
expected to be completed in August 2016.
declined to identify how many or who the bidders are. following final review and interviews with the bidding teams. That facility is planned to be built underneath Interstate 794.
later than the starter line because of the engineering work still required. We were saddened to learn of the passing of noted transportation historian and former CERA director Alan R. Lind of Park Forest on May 30, 2015, at the age of 75. Mr. Lind was the co-author of From Zephyr to Amtrak (1972) and Monarchs of Mid-America (1973). He was the author of From Horsecars to Streamliners (1978), but is probably best remembered among traction enthusiasts for Chicago Surface Lines: An Illustrated History. First published in 1974, it was revised and expanded over the years culminating in an all-encompassing third edition issued in 1979. For a city that once boasted the world’s largest streetcar system under one management, there had been surprisingly little material published about Chicago’s streetcars. In 1964 James D. Johnson published A Century of Chicago Streetcars, a nostalgic look at Chicago’s system through the photographs of Tom Desnoyers (credited as “Thomas Hollister” in the book). Published only six years after Chicago’s last streetcar ran, this was largely a photo album that appealed to both the ardent fan and the casual reader whose memories of the cars in their neighborhoods and their daily lives were still fresh. Mr. Lind’s work on Chicago’s streetcars was much greater in scope. The first edition appeared in 1974, twenty years after the last of the red car lines had been converted to bus. Not so much a narrative history, it provided a detailed account of practically every component of the Chicago Surface Lines. Written for the serious fan (or “rivet counter” in railfan argot) one found valuable information on all types of Chicago streetcars, their routes, route histories, carbarns, shops, and other facilities. For decades this has been the “go to” book for the Chicago streetcar enthusiast. Mr. Lind passed away three weeks before the 57th anniversary of the closing of the last streetcar line in Chicago. 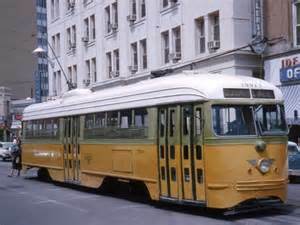 Many of us who rode these last streetcars as children are now collecting social security and most of the adults who took us on these rides are no longer with us. Alan Lind’s major contribution was to collect and present this wealth of information on Chicago’s streetcars, preserving it for the enjoyment and education of both the traction fan and serious transit historian. Because of Mr. Lind’s efforts, both old and young readers can marvel at the size and magnificence of this once vast streetcar network. The older ones can take satisfaction at having ridden on these cars while the younger ones will wish they had. Alan Lind will be missed by all of us. Please congratulate Raymond DeGroote, Jr., as he was awarded a Life Time membership on June 26, 2015 in recognition of his contributions to the organization over the years. Update: The printer has stated that it will begin mailing out copies of the Chicago Streetcar Pictorial, B-146, to all recipients starting the week of June 15, 2015, and we understand some have already received their copies. For any questions or concerns related to your delivery, please email ceraoffice@gmail.com. CERA will have a booth at the Chicago Tribune Printers Row LitFest 2015 on Saturday, June 6th and Sunday, June 7th. We'll be there between 10am to 6pm - if you're going, come say hello to the CERA staff. The booth is identified as Tent KK which will be located near the intersection of Polk and Dearborn. "As part of its ongoing commitment to the written word and its support of literacy and literary endeavor, the Chicago Tribune purchased the Printers Row Book Fair in 2002 from the Near South Planning Board. Recently renamed to be the Printer's Row Lit Fest, it is considered the largest free outdoor literary event in the Midwest-drawing more than 150,000 book lovers to the two-day showcase." Our soon to be issued and available publication. Following is the dust jacket cover sure to tempt all lovers of the Chicago Transit Authority and Chicago Surface Lines Green Hornet streetcars. A rendering of the Kansas City streetcar in action. lot about streetcars and trolleys. why a trolley isn’t the same thing as a trolley coach. streetcar trivia through hard work. officials in Kansas City and Richardson doing the same in St. Louis. planning to the construction phases. legal hurdles that could have scuttled each of them. through which they will travel. City will tell you that the streetcar is a game-changer,” Stone said. light-rail public-transportation projects for an economic boost. that city officials hope will speed economic recovery efforts in the city. Here’s what the St. Louis Loop Trolley will look like. partly attributable to the new streetcar line. built, all in downtown Kansas City. two metropolises in which the trolley line runs. Construction on the St. Louis line started in late March. with loft spaces,” Richardson said. Both the Kansas City and St. Louis projects are moving along on schedule. All construction is scheduled to wrap in the fall of 2015.
say that the line will open to the public in 2016. Construction on St. Louis’ Loop Trolley project is in the earlier phases. But the work is proceeding on schedule. Forest Park in St. Louis. permanent roundabout on Delmar Blvd. in University City. officials say that the line will begin service in late 2016. Gaining approval for each of the projects was not an easy task. range of financial and planning matters. commercial tenants in a limited special district. almost a year’s worth of meetings with the business community. streetcar project would provide them with a significant economic boost. “We had some convincing to do,” Stone said. portion of the route that added an additional $4 million of funding. needed dollars for the trolley project. “That was a very innovative and unconventional approach,” Richardson said. the cities’ new public-transportation projects will have. But already, the attorneys are seeing benefits. today want to move into the hearts of cities. middle of St. Louis and Kansas City.